Ms Lucy (Meredith) Moses is a member of the Faculty in the Chemistry Department and is an Assistant Professor at Virginia Commonwealth University (VCU). She teaches a hands-on approach to enable students to understand and run analytical techniques rather than to rely solely on text books and second-hand spectra. 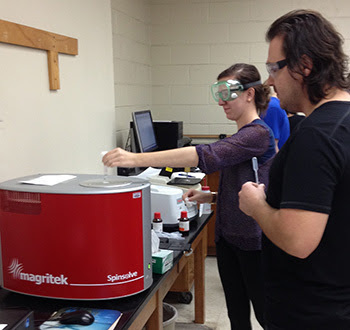 Her group is using the Magritek Spinsolve benchtop NMR spectrometer.